2) Zug, Zug, Zug Es Mir! 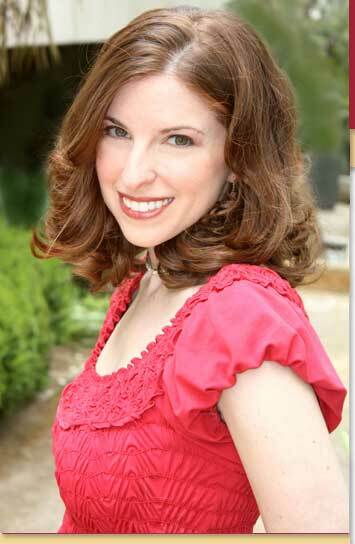 My Yiddish love story begins as a young girl with a song I was given to sing at a Yom HaShoah ceremony. I was captured by the haunting melody, and I wanted to learn the language attached to it  the language in which so many around me laughed and joked and whispered every Shabbes morning. Years later, I was presented the opportunity to sing a Yiddish theater medley, and I must say  I fell in love. It was then that I first realized that Yiddish songs express the full range of human emotions with such uncensored passion! There is no contentment  only true joy and elation. There is no melancholy - only deep pain and heart wrenching sorrow. There is no fondness between two people  only passionate love. While performing with the Folksbiene Yiddish Theater and taking Yiddish language and literature classes, my love for Yiddish became as passionate as a plot from a Yiddish play. I have seen the profound effects that Yiddish has on people of all ages. From the woman in the nursing home who may not remember everything, yet can sing every lyric of Bay Mir Bistu Sheyn, and the quiet Holocaust survivor who opens up to me the minute I speak to him in Yiddish, to the children in my choir who think Yiddish songs are so much fun, Yiddish has a unique way of touching everyone. 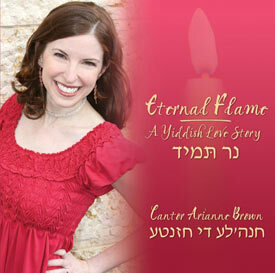 With this recording, I hope to add my spark to the ner tomid  eternal flame  of Yiddish.